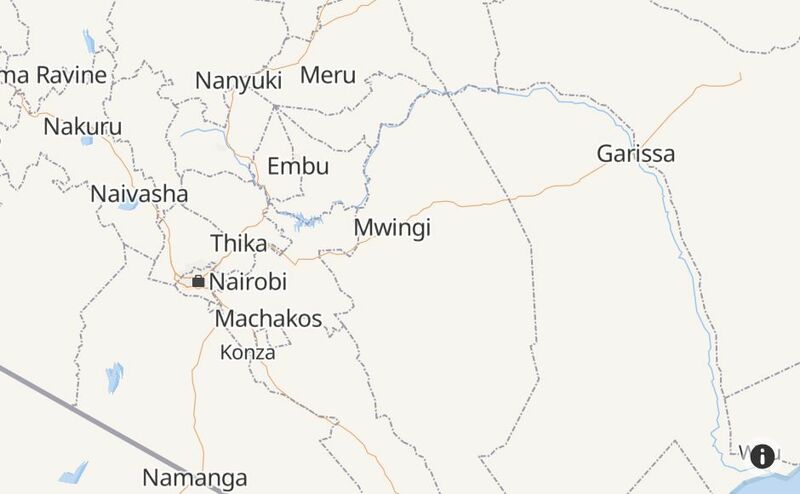 Is National Transport and Safety Authority Down Right Now? 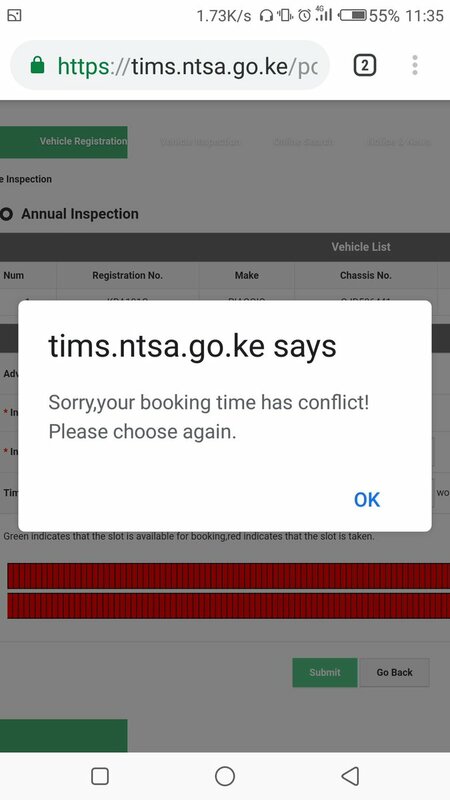 @ntsa_kenya booking for vehicle inspection is not working. I am getting this message. Please assist. 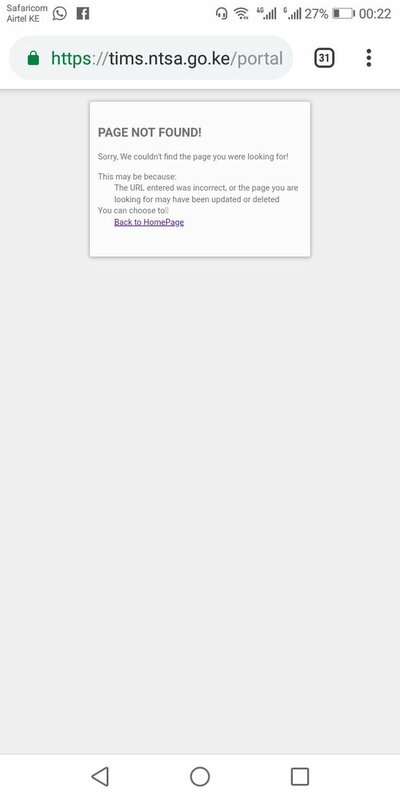 @ntsa_kenya I'm trying to open a TIMS account but it says my KRA pin does not exit. Kindly advice on what to do. @ntsa_kenya kindly help us understand why the system for vehicle registration process are not working at your Mombasa branch. @ntsa_kenya My PIN and ID serial number do not match. What's the problem? @ntsa_kenya I need to know how one goes about tape lifting process so as to apply for duplicate log book. Are there any fees? @ntsa_kenya trying to renew my DL right now and the invoice says said DL will expire on September 2015. How do I fix this?